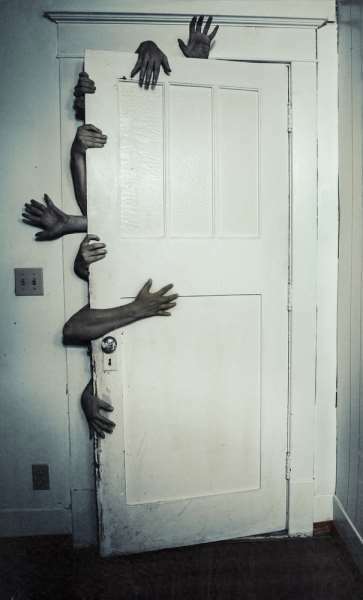 Will Your Doorbell Be a Zombie on Halloween? Halloween night is coming-up soon. That time when all the kids in your neighborhood dress-up in costumes, come to your door all excited, reach for your doorbell, and then . . . what? Well, we at Fix St Louis know EXACTLY what, because we ring doorbells every day. Or at least we try to! Based upon our ridiculously unscientific research, we’d say about 25% of you have a doorbell, but not one that actually, uh, creates a ringing sound inside your house. Another 10% have a doorbell button that’s deformed in some way – usually there’s a hole in the plastic button EXACTLY where your finger is supposed to go. And then there’s another 5-10% where we never even FIND the doorbell and end-up both knocking and sometimes calling you on the phone. OK, so we at Fix St Louis are grown-ups and don’t take a non-working doorbell personally. But what about your neighbors’ kids on Halloween. In addition to being disappointed, they may end-up pounding your door frame and glass with their sticky, Baby Ruth-coated hands. Now, that’s truly frightening. We also know WHY you never get that doorbell fixed. Usually it’s because you have no idea who to call to fix it. Or, you figure that must be some expensive job, perhaps involving ripping down walls to run a new wire somehow up your door frame, through your ceiling, over to the kitchen, down to the door chime, etc. Or you never even THINK about your doorbell because you always enter through the garage, and the only use of your front door is to grab and throw-out all the flyers and Yellow Page imitators that collect there. Nope, the truth is that fixing your doorbell is about as easy as pushing your doorbell. Call us at Fix St Louis. We’ll start by taking our usually successful shot at finding an easy fix for the problem. And worst case, since we all now live in the 21st century, we don’t even have to run wires at all – there are now wireless units! So this year, treat your trick-or-treaters the way you would want to be treated. Let Fix St Louis bring your Zombie doorbell back to life.